I would guess that many of us have been in a similar situation. Instinctively, we suspect a head injury such as a concussion, but we’re not sure what to do about it. We might ask if they remember what day it is or to look at how they are walking. What do we hope to gain from these things? How do you know if they should go the emergency room? Is it really a concussion? Can they get back out on the field? Initially, 24-48 hours of rest. See a medical professional during that time. Assume a suspected concussion is a concussion. No athlete should resume playing ultimate the same day they may have gotten a concussion. Begin a gradual return to play program based on symptoms. If you want a bit more detail about these points, read on! There a variety of things about our sport that make proper medical management of concussion difficult. The absence of dedicated medical staff, the lack of specific education about concussions, and the fact that not all teams have coaches are a few reasons concussions are a such problem in ultimate. Concussions are often under reported in other sports6-8 and a similar trend is probably present in ours. 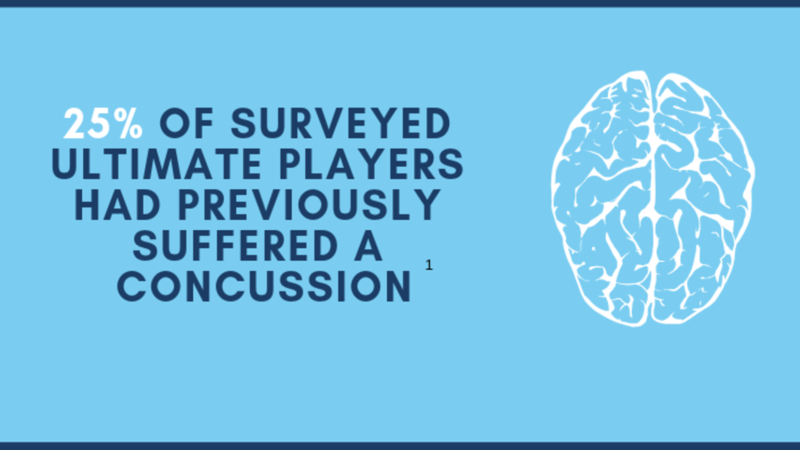 In addition, the same 2018 study by Lazar, Lichtenstein, and Tybor found that around 40% of ultimate players surveyed returned to play on the same day as their head injury.5 If ultimate players received proper concussion management, this number would be 0%. "Around 40% of ultimate players return to play on the same day as their head injury. If ultimate players received proper concussion management, this number would be 0%"
Sometimes it can be difficult to understand how significantly these potential side effects could affect your life, but small things like fatigue and reduced cognition can significantly impact success in school or at work for years to come. So you think a teammate just may have just suffered a concussion, what do you do? If there is an athletic trainer or other qualified healthcare provider present, they should be notified and allowed to assess the athlete as soon as possible. If not, you should assess the athlete for any signs or symptoms of injury. By talking to the athlete, you can get an idea if something more serious is going on. Even after reminding them of the increased risk for serious musculoskeletal or brain injury, athletes without symptoms will often insist they are ready to play the same day. In these situations, it is important to consider two things. This makes it is extraordinarily difficult to be certain an athlete has not sustained a concussion without the help of a medical professional. It’s the day after a concussion. What are the next steps? The first step is finding a healthcare provider who specializes in concussions. Physicians, physical therapists, chiropractors, and athletic trainers are examples of medical professionals who can treat concussions. There are different concussion subtypes that may affect vision, balance, cognition, or other areas that can be treated with specific techniques and exercises. It is a serious injury and should be rehabilitated with guidance from a professional like any other serious injury. If you are a part of a team, educate your teammates about concussion recognition, treatment, and management. Find a local healthcare provider to come give a presentation to your team about concussion management. A team full of people educated about the severity and management of concussions will be more likely to support teammates in choosing good concussion management. Create rules for your program that prevent playing on same day as head injuries without medical clearance. If the return to play decision is left to the injured player or team leadership, situational factors such as the importance of the game will impact decision making and put the injured player at risk. By requiring every player who suffers a head injury to sit out the rest of the day, this decision is eliminated and the risk for further injury is reduced. If you are currently recovering from a concussion, advocate for yourself! Remember, good concussion management should typically follow the formula of a 24-48 hour rest period, followed by a symptom-free, gradual, return-to-play program. 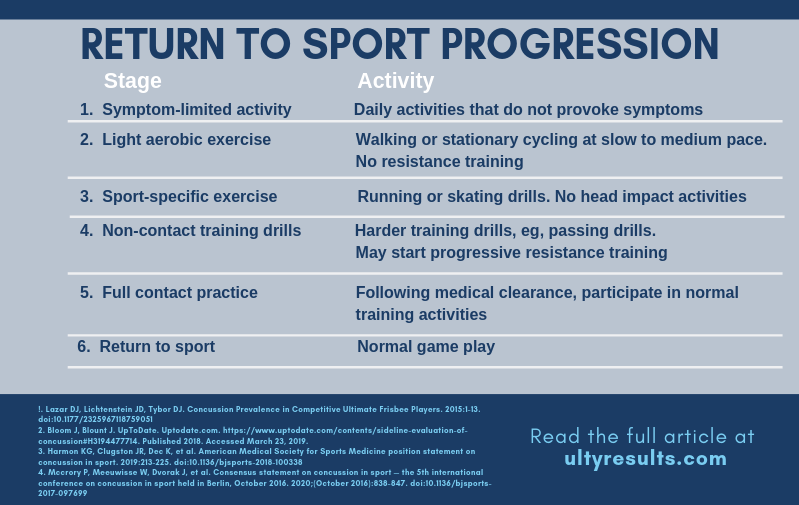 This progression for easing back into sport is included as a quick guide below. If you seek medical treatment and are not guided through a return-to-play program, you should consider finding a healthcare provider who specializes in concussion. Search for physicians, physical therapists, chiropractors or other medical professionals in your area who specialize in the areas of concussion, neurology, or vestibular disorders. Disclaimer: The goal of this post is to provide ultimate players with information to allow them to make informed decisions regarding concussions. It is not intended to provide individual medical advice. 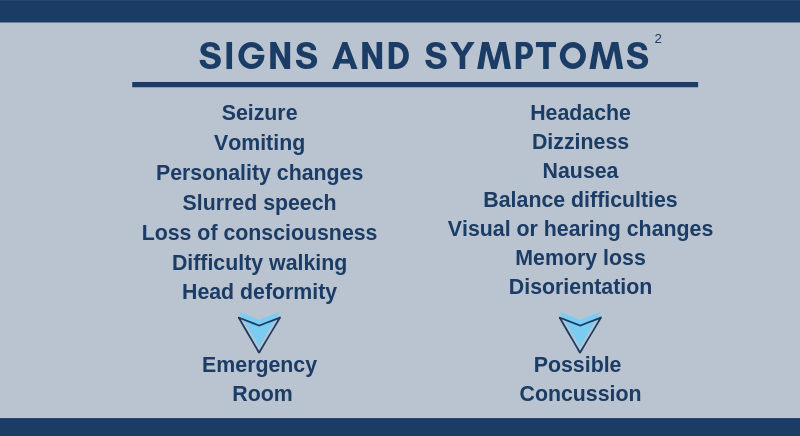 Seek medical attention if you or someone you know may be suffering from a concussion. Sources for this post are listed below. Reynolds KH, Halsmer SE. Injuries from Ultimate Frisbee. 2006;105(6):46-50. Yen LE, Gregory A, Kuhn JE, Markle R. The Ultimate Frisbee Injury Study: The 2007 Ultimate Players Association College Championships. 2010;20(4):300-305. Bloom J, Blount J. UpToDate. Uptodate.com. https://www.uptodate.com/contents/sideline-evaluation-of-concussion#H3194477714. Published 2018. Accessed March 23, 2019. Buckley TA, Munkasy BA, Clouse BP. Acute Cognitive and Physical Rest May Not Improve Concussion Recovery Time. J Head Trauma Rehabil. 2016;31(4):233-41.